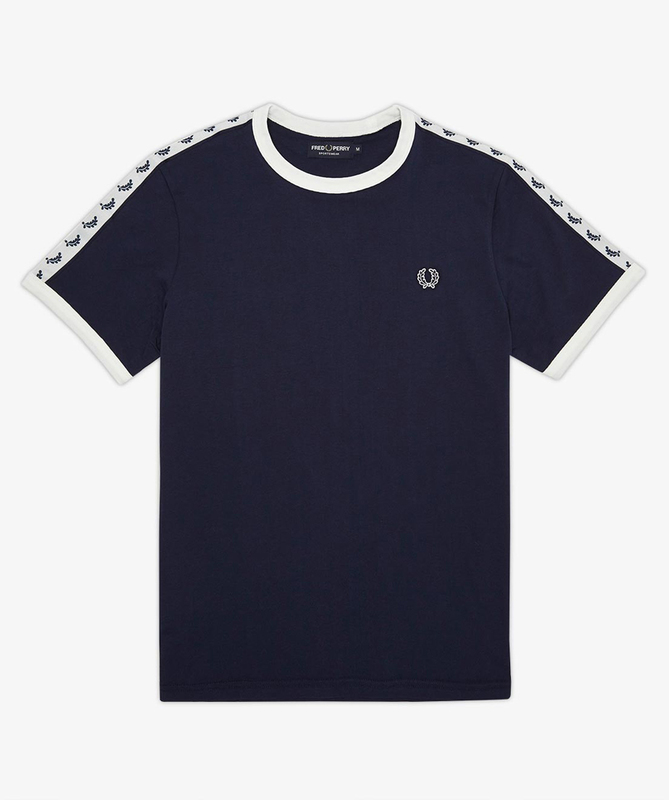 We have started an amazing Fred Perry Discount Code for Spring Summer 2015 at Apacheonline. We are offering all our loyal customers a fantastic 10% Off All New Season Fred Perry Collections at Apacheonline until the end of April. Simply enter FREDSS10 at the Checkout of Apacheonline to receive 10% Off All New Season Fred Perry Styles. The latest Fred Perry Spring Summer 2015 collections have now landed at Apacheonline and in our flagship store in Horsham. 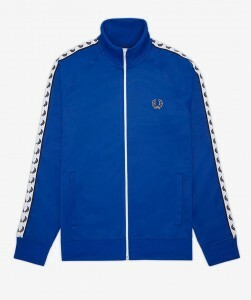 We will now showcase a few of our staff favourites and also give you details again on our Exclusive 10% Fred Perry Spring Summer 2015 Discount Code. This first selection is the J6231 Classic Track Jacket and its a cracking retro piece. Available in the pictured Regal Blue, Black, Sky Blue and Classic Yellow there is a colour for all tastes. In a classic fit, crafted in a quality cotton polyester mix fabric and featuring the all important Laurel Wreath Sleeve Taping, this will make you stand out in the crowd! 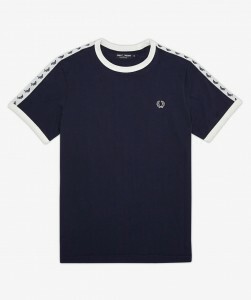 This is the M6347 Taped Ringer T Shirt and is also part of The Fred Perry Sports Authentic Collection. Made from 100% jersey cotton and featuring the larger Laurel Wreath chest branding, this is ideal for the coming Spring Summer Season. Available in the pictured Blue Granite and Port and remember you can save 10% with our Exclusive Fred Perry Discount Code. There is so much more in the new Spring Summer 2015 Fred Perry Collection including Bold Magnified Gingham Check Shirts, Classic Twin Tipped Polo Shirts and basic Crew Neck T Shirts, something for everyone. Dont forget, Enter FREDSS10 at the checkout of Apacheonline to receive your exclusive 10% Fred Perry Discount.